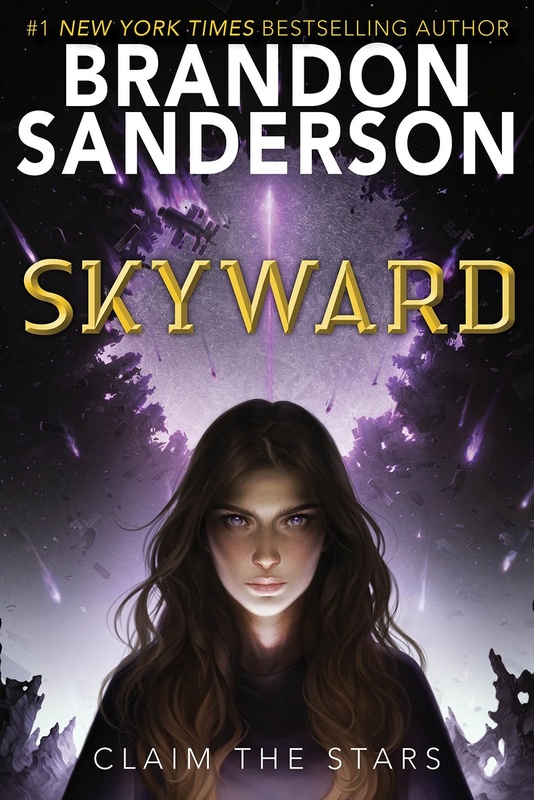 Alien attacks, dystopian governments, and teenage girls with heroic dreams are not individually original subjects, but Brandon Sanderson manages to create a refreshing conglomeration of these elements in “Skyward,” the first installment in his ambitious new young adult series. As Sanderson’s novel is firmly planted in the sci-fi and fantasy genres, it has no shortage of fantastical world-building and engaging battle scenes. However, the book also grapples with competing definitions of cowardice and bravery in a surprisingly thorough fashion, considering the tendency of epic fiction, especially the kind meant for younger audiences, to simply paint courage as a positive attribute without fully exploring its nuances and implications. Despite its merits, “Skyward” has some significant flaws, namely repetitive plot structure consisting of battle after battle and its bland supporting cast of characters. In the distant future of “Skyward,” Earth is merely a name in old lore. People have fled to the planet of Detritus, which is surrounded by a thick layer of orbiting debris. However, this new planet is in no way safe: People hide away in underground cities, in constant fear of an attack from the Krell, a mysterious, aggressive alien race whose only goal seems to be destroying human civilization. Pilots, trained to fly armed spacecrafts called “starfighters” and engage the Krell in aerial battle, are the people’s primary defense. Spensa Nightshade is the daughter of a pilot who is infamous for deserting his teammates in the midst of a crucial battle and being shot down for his cowardice, so she seeks to become a brilliant pilot herself to clear her family’s name and find out what happened during that fateful fight. The strength of Sanderson’s work is his ability to create a palpable mood within each scene, especially those involving battle, whether it’s a sense of simultaneous wonderment and peril when “a sudden shower of hundreds of pieces of debris rained down, a blazing hail” or Spensa’s desperation as “my Poco [a starfighter model] rattled, nose trailing smoke, my console basically just a huge expanse of red lights.” However, the novel is so focused on inserting action into the plot that it becomes formulaic and almost predictable: Spensa enters a dangerous aerial battle, another supporting character inevitably is killed off, Spensa undergoes an emotional crisis, and the cycle repeats. The dependence of the plot on action and battles limits the number of scenarios in which Spensa can interact directly with other characters and build meaningful interpersonal relationships. Although numerous characters are introduced and many deaths occur over the course of the novel, few of them are emotionally impactful or memorable because the depth of supporting cast members is rarely explored beyond what is necessary for them to either serve as a plot device to develop Spensa’s character, resolve a difficult conflict, or illustrate the devastation of war. Since the novel focuses so deeply on Spensa’s journey, both mentally and physically, the crafting of the protagonist heavily impacts the story overall. For the first fourth of the book, Spensa’s dialogue mainly consists of melodramatic threats: “I will hold your tarnished and melted pin up as my trophy as your smoldering ship marks your pyre, and the final resting place of your crushed and broken corpse!” She seems comically cartoonish at best and is only portrayed as powerful and brave when acting masculine, an un-feminist representation of who is supposed to be a strong, female lead. However, Spensa is soon forced to reconsider what truly constitutes bravery and cowardice by the commentary of other characters on her behavior: “You seem like you really want to defy the admiral… Maybe you should consider not allowing them to define victory or failure for you.” Such dialogue makes it clear that Spensa is not meant to be taken as a true ideal of heroism, but an example of the consequences of society’s worship of foolish, unnecessary violence as proof of courage. 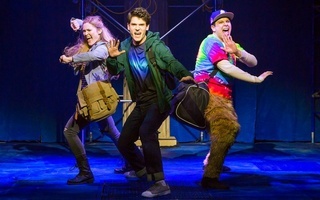 Sanderson cleverly uses Spensa’s character to satirize heroic protagonists in general, turning the “special snowflake” and teen rebel tropes on their heads: Heroes are often only deemed heroic because they abide by their society’s definition of success and in that sense, they are not unique at all, but sharing the common dream of acceptance by their peers. “Skyward” doesn’t have a strictly upward trajectory — it has brilliantly fleshed-out action scenes balanced with relatively shallow supporting characters. It has a rather unlikeable protagonist, yet makes commentary on the broader theme of what it means to be a hero using that same protagonist. Still, despite its flaws, “Skyward” is worth reading — it’s more than merely a promise of cheap thrills and space battles, hooking its audience first with its immersive atmosphere and later with its thought-provoking questions about the very nature of heroism.